The president has been away in the Kingdom of Saudi Arabia for forty days and forty nights owing to ill health brought on by an inflammation of the membrane surrounding his heart. The president also has a history of kidney disease. 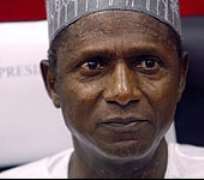 The group stated that if by the expiration of its ultimatum of January 31, President Yar'Adua has not come back to actively assume and perform his functions as the president, and he neither resigns nor is removed by the National Assembly in the application of sections 144 and 146 of the 1999 Constitution to enable the vice president, Dr. Goodluck Jonathan be sworn-in, it should not be held responsible for whatever may result from such legitimate action(s). “That it is on record that President Yar'Adua and his PDP bakers were fully aware of his serious health condition before he was picked as the presidential flag-bearer of the PDP and subsequently foisted on the nation through a totally flawed and the worst general election in the history of Nigeria. “That in view of the above, it is a great act of wickedness for the innocent Nigerian masses to be made to suffer the negative consequences of this premeditated leadership failure as a result of the greed of a political cabal in the country. “That the already impoverished Nigerian populace should not be made to bear any further, the brunt of the President Yar'Adua self-inflicted burden of rulership which has worsened his health condition. The group went further to condemn in its entirety the jaundiced interpretation of the essence and applicability of Sections 144, 145, and 146 of the constitution by the FEC, AG of the Federation, the Deputy Senate President, Ike Ekweremmadu and his co-travellers at the so-called National Asse-mbly, as these sections were not inserted in the constitution for fancy/decoration but to be applied/put into effect in a situation like the one Nigeria currently finds herself. The Lawyers of Cons-cience added that the absence of President Yar'Adua from the country for more than a month, without any honest information on his current condition, on account of his ill-health; the current biting fuel scarcity; the confusion being brewed by the swearing in of Justice Katsina-Alu as the new CJN by the former CJN, Justice Kutigi; and alleged signing of the 2010 Appropriation Act by the President are a clear manifestation of the incapacity of Yar'Adua to perform the functions of the president. It also identified lack of seriousness on the part of National Assembly particularly with respect to issues of Constitutional Amendment/Electoral Reform; the lachrymal hardship/growing poverty in the country; the near collapse of governance; and increasing constitutional crises in Nigeria among others, as part of the problems bedeviling the country as a result of the president's continuing absence. It added: “That consequent upon the above reality and in the spirit of rule of law (one of the so-called 7-point agendas of Yar'Adua's government), we hereby join the group of eminent Nigerians and the Nigerian Bar Asso-ciation to call on the FEC and National Assembly to immediately begin to take steps to give effect to sections 144, 145 and 146 of the constitution now that the ill-health and incapacity of President Yar'Adua has almost paralyzed governance in/and the nation. The group vowed that no amount of intimidation, blackmail or persecution will stop it and the Nigerian masses from demanding and claiming our constitutional rights of good governance, rule of law and democracy. The communiqué was copied to the Federal Executive Council, the Attorney General and Minister of Justice, the National Assembly, the Inspector General of Police, the State Security Service, the Nigerian Bar Association and the Nigerian Union of Journalists. There are several other signatories to the Communique.